Flip Out Mama: Review: NEW Suave Everlasting Sunshine Review and Giveaway! Review: NEW Suave Everlasting Sunshine Review and Giveaway! 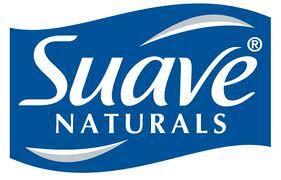 I am such a fan of Suave products! They make great quality products at an affordable price, and that is something that everyone can enjoy! What I really love about Suave is that their Naturals line smells just as good, if not better, than the *much* more expensive "Bath and Body" brands! Recently, we got a chance to try a BRAND NEW product from Suave, their Everlasting Sunshine scent! We got to try the Body Wash and the Body Lotion. I was very impressed with both of them! The first thing that I noticed about this scent is how much it smells like B&BW Pearberry, which is one of my favorites! The body wash is really good, it left my skin really soft and smelling good, and the lotion just added to the silky softness! I just wanted to share this info with you, and let you know that if you are looking for an affordable, awesome Summer Scent, then you should definitely try Everlasting Sunshine! The folks at Suave are so sweet, they are giving away a set of the NEW Suave Everlasting Sunshine Body Wash and Body Lotion!! If you would like to win, just go here to Suave's website and tell me another scent you would like to try! For extra entries you can follow Flip Out Mama on Twitter and Facebook (links in the right sidebar!) and salso share this giveaway on Facebook and Twitter, or your own blog. Each of these extra entries will be worth one extra entry, so leave them in a separate comment! Contest will end on 6/25/2012 at approx 11pm EST, winner will be chosen via random.org. The sponsor will be responsible for fulfilling shipment. We received a sample product in order to conduct this review, but all opinions are 100% my own! I'd like to try Kiwi!